Maybe it's a stretch that husband and I celebrate Mother's and Father's Day, but Sherlock is basically our child. Really, it's an excuse for me to get a new pair of splurge shoes, so it's only fair I reciprocate and get the husband a Father's Day present. Husband however, is much more challenging to shop for than myself. He is tremendously practical. Too practical sometimes. So I get quite excited when I find gifts for him that are both practical and have a little something special. 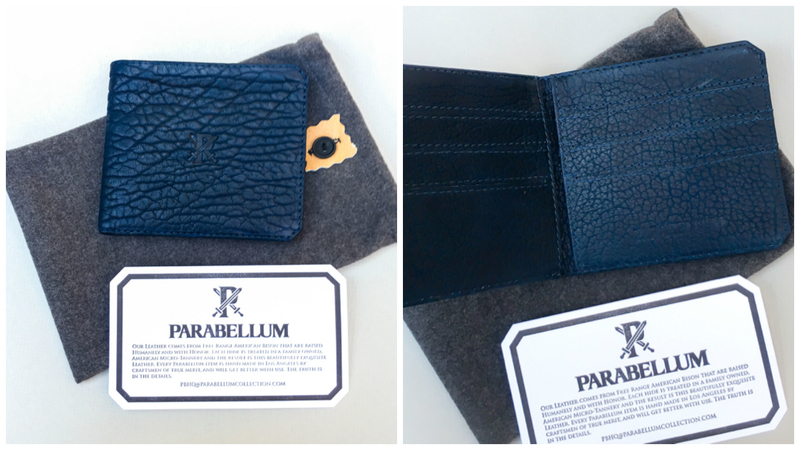 This year, this gorgeous bison leather wallet from Parabellum definitely checks the box for both practical and special. The unique navy color makes it look even richer and it just feels so luxurious. 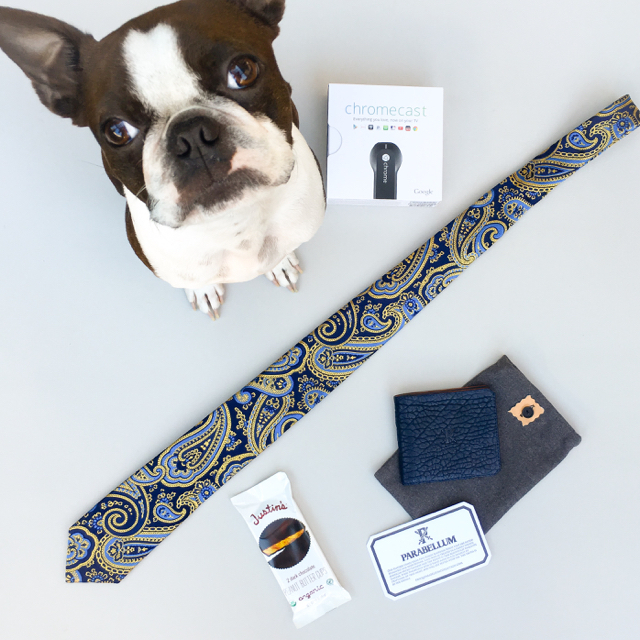 Their gorgeous leather goods are also made stateside, and I'm always thrilled to support domestic companies. 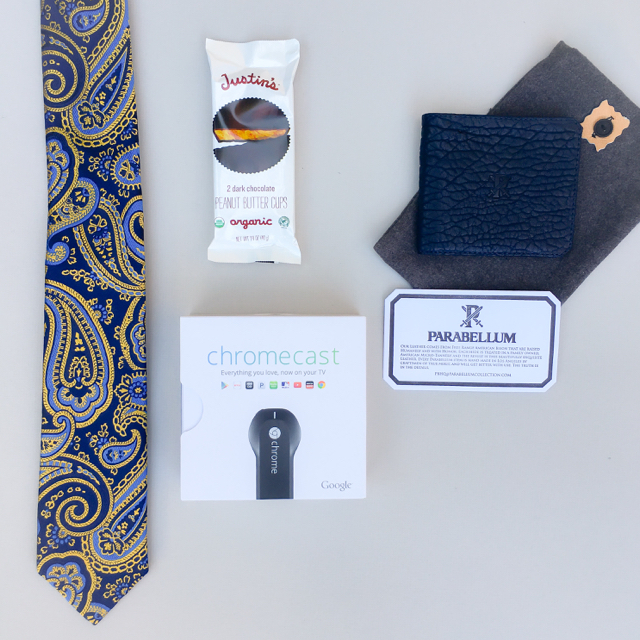 A few other Father's Day gift ideas include ties (visually similar to this one I picked up at Nordstrom Rack), sweet treats, and handy gadgets (Husband loves the Chromecast we already have so much, one for the second TV seemed practical). 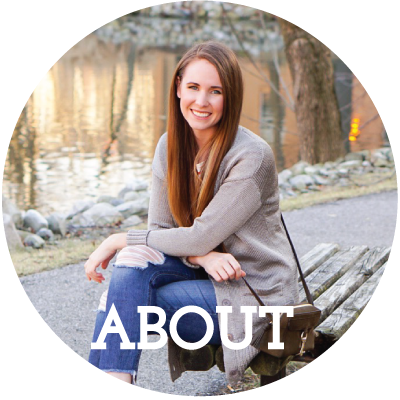 Make sure and check out the rest of Parabellum's beautiful leather goods, and use code 'jenna' to get a free monogram ($30 value) on your Parabellum purchase. Valid through June 30th. And for a few more unique gift ideas, check out this post.